According to the infamous shampoo advert, you never get a second chance to make a first impression. 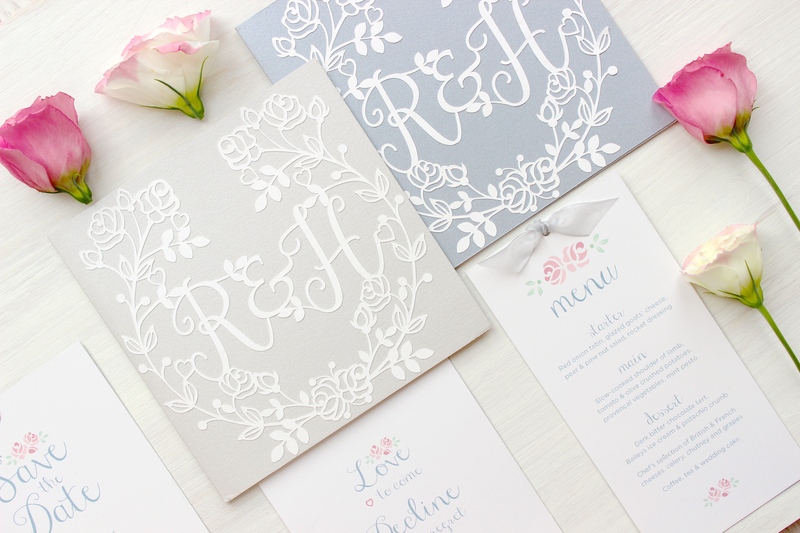 Whilst you have been living and breathing all things to do with your wedding, the first time your guests have any idea about your big day is when your wedding invitation or save the date card lands on their doormat. This important piece of mail will set the tone, theme and your guests’ expectations of your special occasion. What you say, when you send it, to whom you address it and what it looks like all provide the first experience your guests have of your wedding. So it’s really important that you pick your stationery wisely to make the best first impression. 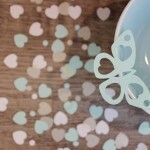 Look out for a forthcoming post on the wording of your stationery. 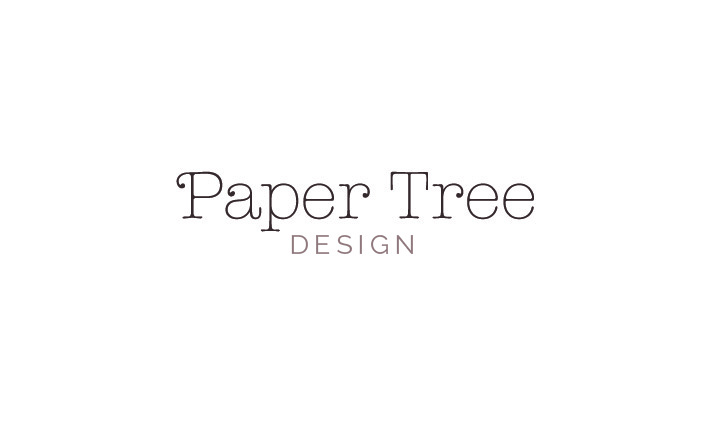 Meanwhile, focusing on what it looks like and to help you wade through the sea of stationery, the hugely talented Suzanne from Paper Tree Design has put together this guide to help you find the right stationery for your budget. 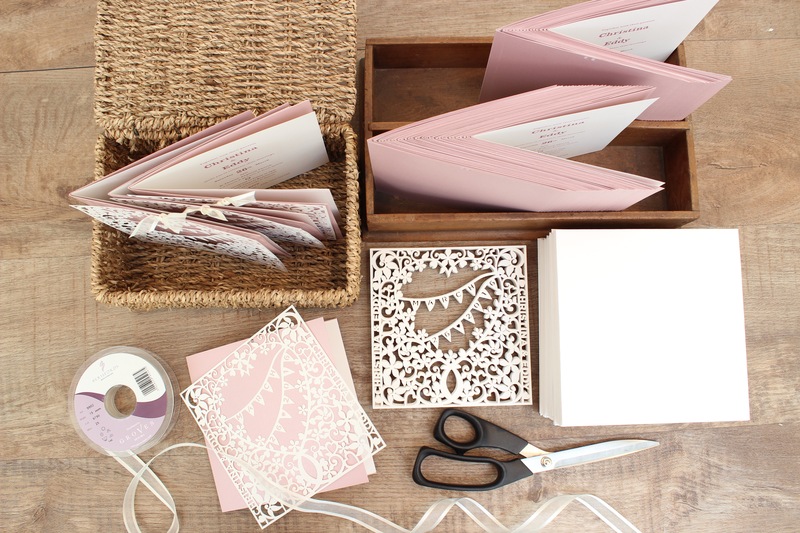 You have set a date and secured your venue so your mind turns to stationery, where to start? The options are endless and mind boggling, and when you are surfing stationery sites from the sofa sometimes it is difficult to understand why pricing can be so different between suppliers. 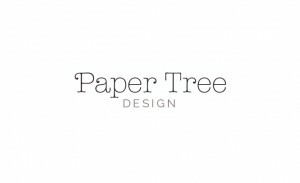 When you are choosing your venue there are things to help you with this, star ratings, facilities and services, but when it comes to stationery the differences in service, technique and embellishments are what makes your stationery either basic or premium. 1. Off the shelf –This is the cheapest option and is exactly as it sounds! 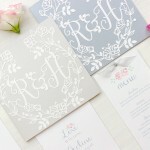 You purchase a pack of pre-printed generic wedding cards for you to fill in the date, location and guest name. These are the cheapest because the supplier gets thousands printed at a time and there is no extra art working for the supplier to do. 3. Customised – A customised design is where you have the option to personalise an existing design to fit in with your theme. This can include changing colours, having your initials added in to the design, and having a choice of card types or trims etc. 4. Bespoke – If you have a specific idea in mind for your stationery and you cannot find an existing design to reflect this, then bespoke is for you. You will work closely with the designer who will design something around your theme ideas. This is at the premium end of the stationery market because you are paying for a designer’s time to create something for you. If you are considering this option then it is wise to allow at least a month for a design to be fully approved and ready for production. There are all sorts of card available for use in stationery in different weights (thickness), textures, and finishes, the thicker the card the more it costs, as it will any with specialist finishes and textures. The weight of card used can be the difference between an invitation looking ordinary or luxury so when you are comparing prices have a good look at what is being used, if it is not stated on the website then ask. 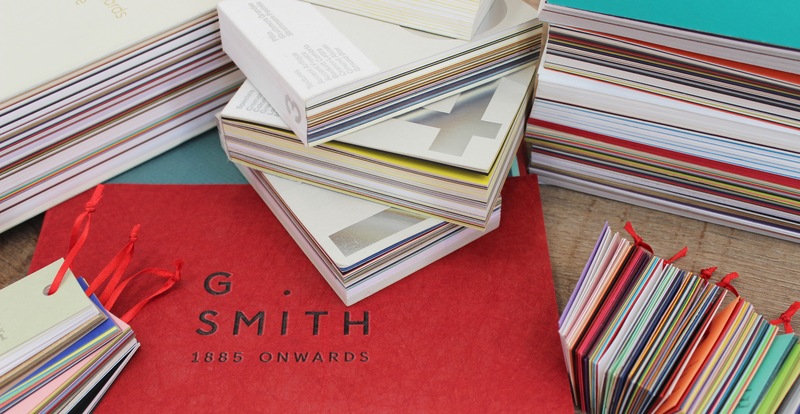 When you start reading the information on a stationer’s website you will come across all sorts of terms, litho pint, digital print, letterpress, embossing, hot foiling, laser cut, paper cut, duplexed, spot varnish. What do they all mean? Printing – Printing on a invitation is more likely to be digitally printed these days as digital is suited to smaller quantities. Litho requires the making of a printing plate which makes small quantities much more expensive. A printed card on a standard board with no extra finishes or embellishments will always be the cheapest option. It is worth remembering that digital printing may not be suitable for some of the specialist papers. Letterpress Printing – Letterpress is a traditional printing technique which involves inking a plate (printers tray filled with raised blocks) and pressing in on to the card stock, which leaves a deep impression. These days there are more hi-tech ways of making the printing plate but the process is the same. For small quantities it can be expensive but if you have a large number of guests it is more affordable. 1. Hot foiling – This adds metallic areas to the design. 2. Spot varnish – This adds a shiny or mat surface to areas of the design. 3. 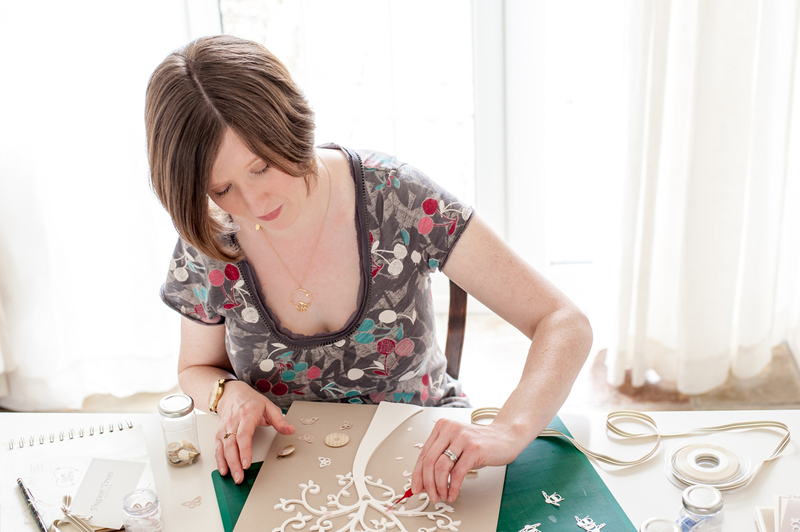 Embossing/ debossing – This adds texture to the card, either raised (embossed) or pressed in to the card (debossed). 4. Duplexing – If a card is duplexed, it means it is made up of two different boards sandwiched together of different colour or texture. 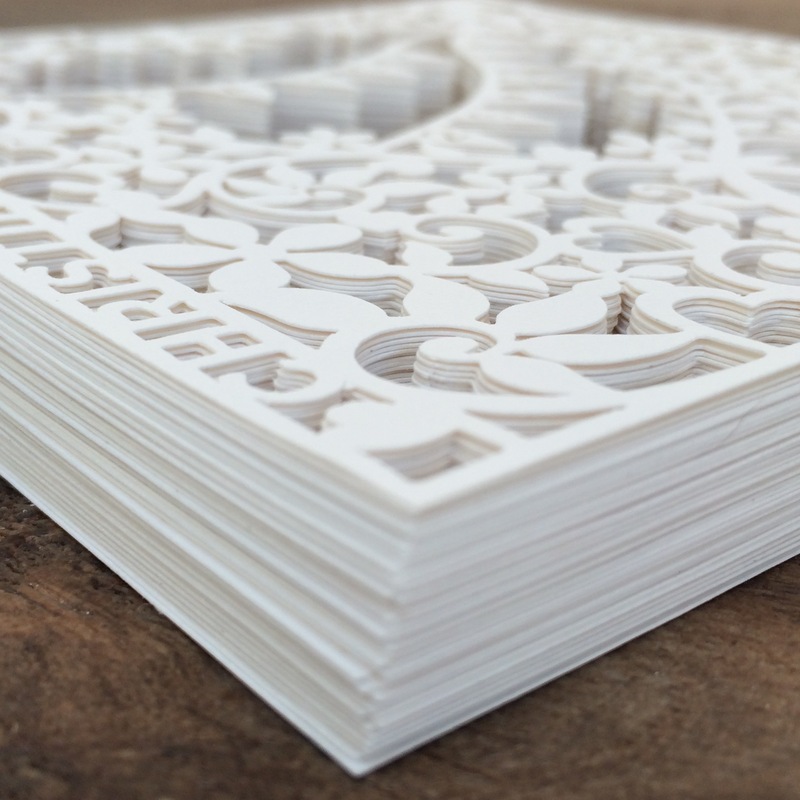 The process of cutting out shapes or patterns from card (or other materials), the main difference being if it is laser cut then the gaps in the design are burnt out with the laser, if it is described as die/machine/ paper cut then it is cut out using a tiny blade. Cut invitations are usually made up of 2 or 3 layers (the cut, an inlay card & printed insert) which makes for a more luxury product. 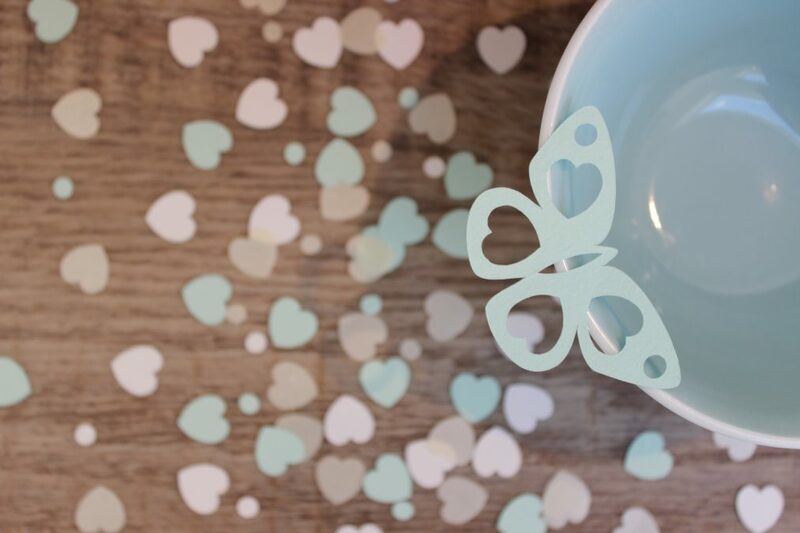 The use of ribbon, baker twine, crystals and other trims to finish off your stationery can really help to make it look special, but beware when you are looking at and comparing prices between stationers. 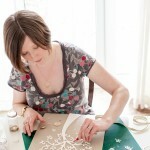 You may see a beautiful photo of your chosen stationery suite tied together with twine and finished with a gift tag or other embellishments, and the costs look in budget, however some stationers charge separately for these extra finishings and you can find yourself paying £1.00 or £2.00 more per invitation than you had budgeted for, for the invitation in the picture. 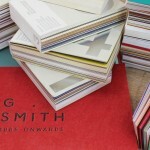 Anything that has any element of hand finishing adds time and therefore cost to the stationery, so check the small print! 1. Help yourself – If you are really struggling for budget enquire about what could be provided in kit form in order to save on price. 2. Buy in bulk – Think about all your stationery in one go from the outset (invites, order of service, name cards, table numbers, menus, table plans etc) rather than separate pieces at different times. You can save if you buy ‘before the day’ and ‘on the day’ stationery all from the same supplier. 3. Compare the quality – Read the descriptions carefully and make a list of the differences in a notebook together with the prices, so you don’t forget when you start comparing price. 4. Beware the hidden extras – Double check the price list and ask if it is not clear. 5. It never harms to ask – If you have your heart set on something but you are worried it is out of your budget, then just ask if it can be modified to help with the price.